H. B. Marriott Watson (1863-1921) was a prolific author who wrote over 40 books, including 17 short story collections. His writing included adventures and historical romances, mystery, fantasy and supernatural fiction. For the first nine years of his life, Marriott Watson lived in Australia. Early in 1873, Marriott Watson moved to New Zealand, where his father was incumbent of St John's, Christchurch. In 1885 he traveled to England, where he settled. 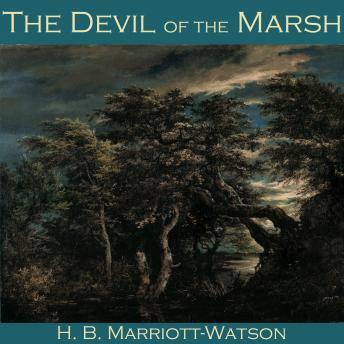 Though not a prolific writer of supernatural fiction, a couple of his stories, notably 'The Devil of the Marsh' and 'The Stone Chamber', are regarded as classics of their kind.